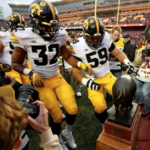 Minneapolis- The Iowa Hawkeyes defeated the Minnesota Golden Gophers by a score of 14-7 at TCF Bank Stadium. The scoring got started with a 22-yard field goal by the hawkeyes Keith Duncan putting Iowa ahead 3-0 early on in the second quarter. Not too long after that, Duncan booted a 28-yard field goal to put the hawkeyes up 6-0. Minnesota came back the next drive and scored on a 9-yard Shannon Brooks rushing touchdown. After the made extra point, Gophers were up 7-6. 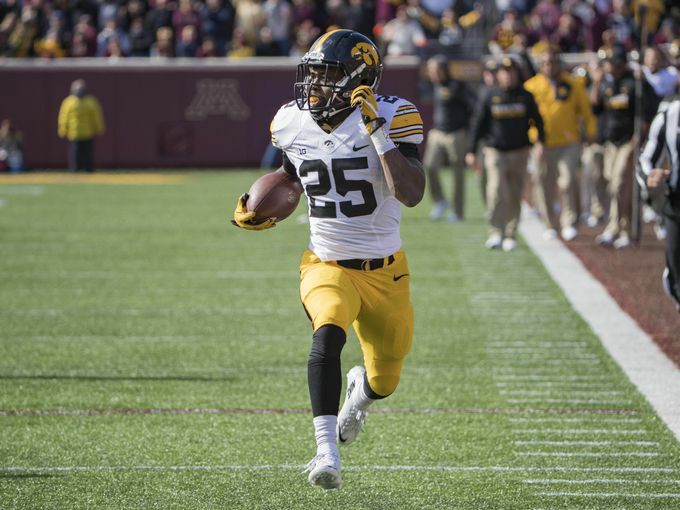 Iowa regained the lead after a 54-yard rushing touchdown by Akrum Wadley. Kirk Ferentz and company elected to go for the two-point conversion. They were successful in their attempt after Leshun Daniels, Jr. rushed it in to go ahead 14-7. “Sooner or later, they slip up and it will be a long one. Either me or Leshun were going to hit it” Wadley said. In addition to the offense, the defense came in the clutch making Minnesota punt nine times and turning the ball over three times throughout the course of the game. 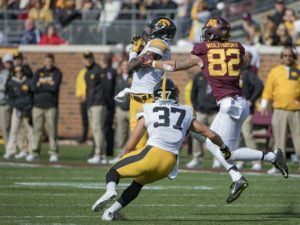 After a lengthy drive by the gophers, Minnesota quarterback threw an interception to hawked defensive back Manny Rugamba. The interception was the first in Rugamba’s career. Manny Rugamba intercepts his first career pass (Jesse Johnson USA Today). Minnesota got the ball back and drove the length of the field before having their drive stall inside the red zone to turn it over on downs. C.J. Beathard took a knee and that was all she wrote. 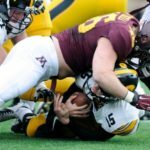 In total, the Iowa defense allowed only 166 passing yards and 102 rushing yards in their defeat of Minnesota. The Iowa Hawkeyes (4-2, 2-1) will face the Purdue Boiler Makers (3-2,1-1) next Saturday at 11 a.m. central time at Ross-Ade Stadium in West Lafayette, Indiana.